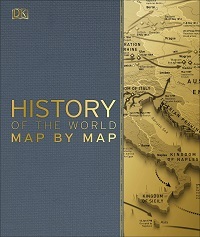 This accessible, comprehensive reference tells the story of world history, up to the present, through more than 140 full-color maps. Using the Smithsonian’s world-renowned resources, the volume provides meticulous detail on everything from the first human migrations out of Africa to the definitive battles of World War II to the Iran and Gulf Wars. The maps contain panels of descriptive text and graphics that highlight key figures. Color photographs and images offer context. A time-line section succinctly summarizes the contents of the maps. Readers will emerge with an understanding that a country’s history is shaped as much by its geography as its population. Fans of rock music who engage in long conversations about the relative merits of bands may find this slim volume from rock journalist King the resource they didn’t know they needed. Each of the genre entries begins with a brief description of the origins and history of the music type. Short lists such as “pioneer tracks,” “other key players,” and “crossover tracks” provide eager readers with a music finding aid, listing key tracks in each genre, the names of other important rock acts, and relevant songs from other music styles. Editor Schultz (Univ. of Minnesota Law Sch. ; political science, Hamline Univ.) 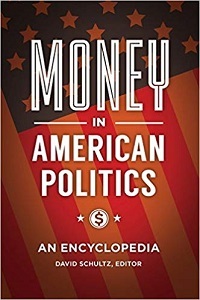 addresses the central role of money in U.S. politics. In the preface, he writes that many see money as a corrupting tool of leverage by special interests while others perceive it as a form of free speech in need of constitutional protection. This book debates those divergent perspectives and provides answers to two core questions: Does money influence the legislative process? Are the United States’ patterns of wealth distribution beneficial for the nation’s democracy? With contributors who include academics, attorneys, researchers, and students of law, political science, and public administration and policy, the work consists of a chronology, general index, and 155 entries. The articles on Federal Contribution Limits, Political Action Committees, and State Legislative Races also contain figures and tables. 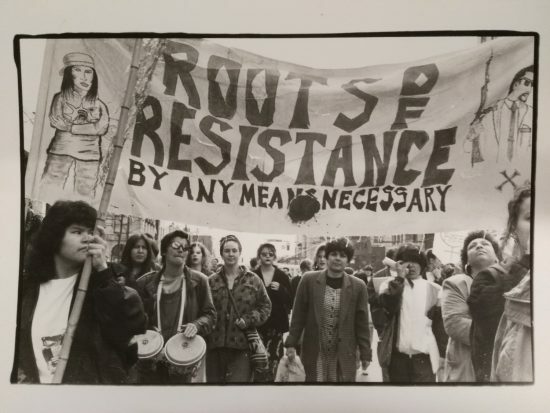 The primary focus is on court cases, individuals, groups, organizations, and events since the 1972 presidential election and the Watergate break-in. According to Schultz, that is when campaign donations, legislation, and litigation began shaping the effect of money. Journalist Ramge (the Economist) and graphic designer Schwochow (founder, CEO, Infographics Group; Understanding Germany) have produced an incredible, atlas-like work on a topic many find daunting. Using infographics to outstanding effect, they explore the global economy and discuss how economics connect everyone around the globe. The volume is divided into seven sections: “The Individual,” “The Company,” “The National Economy,” “The Global Economy,” “Theory,” “Environment & Resources,” and “The Future.” Almost 100 vibrant visuals on 49 topics are accompanied by accurate text. 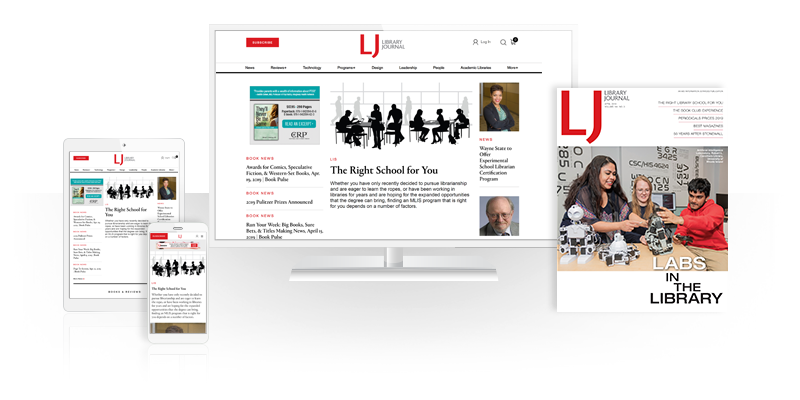 The section on the future is especially compelling, covering megatrends, innovation, digitization, automation, and more. The appendix of websites, organizations, reports, bureaus, and other sources the creators used for their data is meticulous. The comprehensive index is more helpful than most for finding terms and topics in the richly detailed contents. 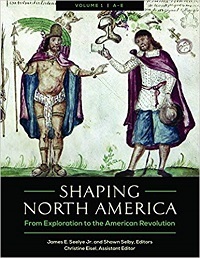 Seelye (history, Kent State at Stark; coeditor, Voices of the American Indian Experience) and Selby (history, Kent State at Stark) have compiled 300 articles by 56 contributors describing North American history from 1492 to 1789. 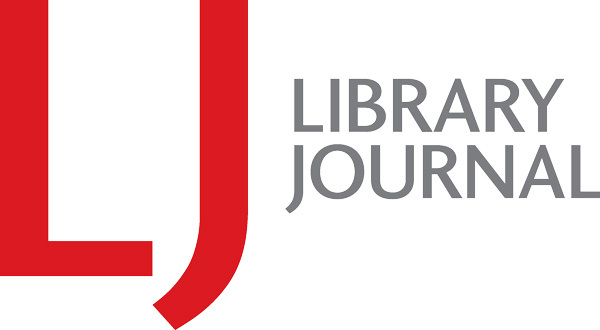 The signed entries discuss events, people, social ­conditions, and institutions (slavery, the Sons of Liberty, the Declaration of Independence) in sufficient detail for undergraduate majors and nonmajors to begin research on a variety of topics. Entries end with further reading, and some offer relevant primary documents. Although the writing is not elegant, it is clear and direct. All three volumes contain an alphabetical list of all entries and a list of entries grouped by 11 broad topics to facilitate further exploration. Volume 1 further includes a chronology and an introduction that gives an overview of the period. A separate listing of primary documents would be of great interest, and some may wish that the publisher had featured the index in all volumes. The sparse illustrations add little. However, such minor deficiencies do not detract from the overall value of the work. 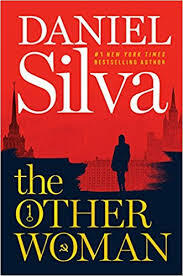 The Other Woman by Daniel Silva leads holds this week. Former President Obama has more summer reading. Downton Abbey is heading to the movies. 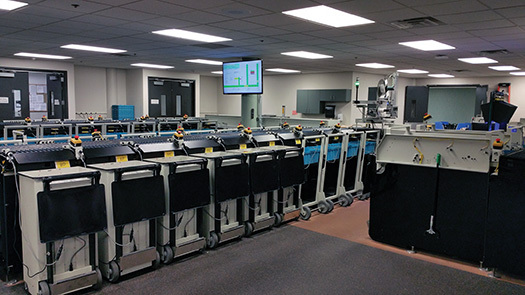 Automated systems are helping libraries move staff to patron-facing work, while manufacturers innovate new design features.